comments: original label must be silver and blue !!! 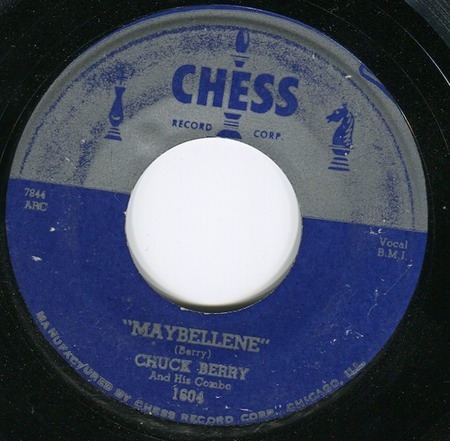 There is reason to argue that Chuck's "Maybellene" was not really the original and that the honour should go to a country stomp called "Ida Red," upon which Chuck based his number. "Ida Red" was considerably older, having been originally recorded in August 1924 by Fiddlin' Powers And Family and released on Victor 19434. Nothin' outrun my V8 Ford.